The good news is the Driving and Vehicle Standards Agency publishes pass and failure rates for every driving test centre in the UK. The bad news is that those who want to stand the best chance of passing will have to travel – unless they live in Scotland, Wales or Yorkshire. The common theme between the highest-rated test centres is that they are located in relatively quiet parts of the country. This means the roads aren’t the battle ground that learners encounter in, say, London. Last year saw the test centre in Golspie, Highland Council, Scotland achieve the highest pass rate. It’s a picturesque spot, nestling on the North Sea coast in the shadow of the grand Dunrobin Castle. But clearly learner drivers were concentrating on other things, given it achieved an 80 per cent pass rate. The next most successful test centre is in Mallaig, Highland Council. South of the Isle of Skye, its quiet roads contributed toward a 77 per cent pass rate for drivers. In third place comes Ullapool in Scotland. With just 1500 residents, traffic jams are few and far between, taking the pressure off those sitting their driving test. Little wonder that 76 per cent passed. Llandrindod Wells in Powys put Wales in the Top 10 with a score of 71 per cent. And in England, Malton in north Yorkshire came top with 70 per cent passing their test. Where are the worst places to take the test? Some of the nation’s greatest cities attract visitors for their culture, employment prospects and vibrant nightlife. But when it comes to taking the driving test they have little to recommend about them. The toughest place to take the driving test in 2016 was Belvedere in Greater London. Examiners passed just 28 per cent of candidates. Experts put the performance down to volumes of traffic, complex road layouts and sign posting, and additional hazards, including pedestrians and cyclists. The second least successful venue for learner drivers was Garston, Liverpool. Ironically, the city’s most famous export The Beatles wrote Drive My Car. But only 30 per cent of pupils would be able to without L plates after their test. Taking the third step on the podium of driving shame was Wanstead, in Greater London. It had a pass rate of just 32 per cent. Also featuring in the top 10 most difficult places to pass the driving test was Chetham Hill, in Greater Manchester (33 per cent), Birmingham (34 per cent) and Wednesbury, in the west Midlands (34 per cent). What’s the cost of a driving test? Last year, 1.53m drivers took a driving test, with an average pass rate of 47 per cent – a small increase over past years. As the test typically costs £62, it means that an eye-watering £48m is spent on unsuccessful driving tests. Can you book a test anywhere in the UK? 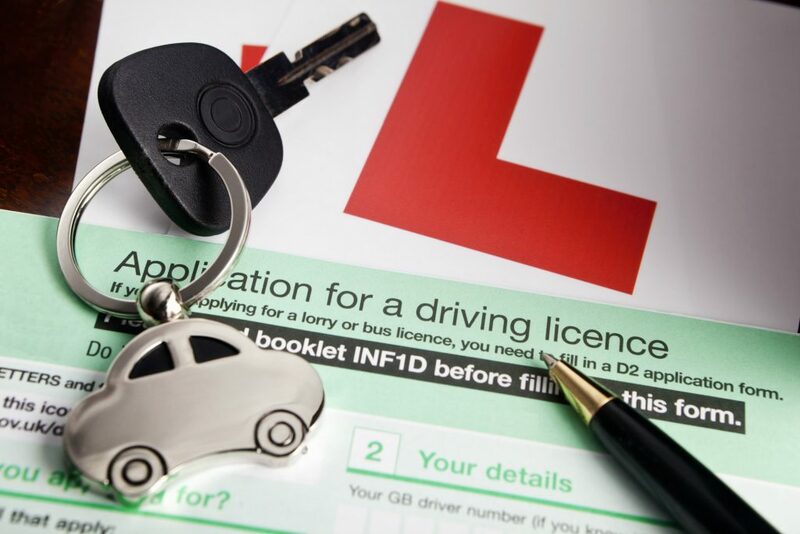 Learners that want to give themselves the best possible chance of passing the driving test first time will be pleased to learn that they are permitted to take the test anywhere in the UK. And there is no minimum requirement for the number of lessons someone should have taken. However, the driving test can only be booked after passing the theory test. My grand-daughter is sixteen years old and already has a provisional driving licence. When is the earliest that she can take her driving theory test? Geography appears not to be your forte. Wanstead is in London but is near to Liverpool Street Station. giving perhaps giving a Liverpool connection. The article actually says Garston, Liverpool, then in the next paragraph, Wanstead in Greater London. Clearly observation is not your forte. Not a word in your article mentions a candidates ability. Some are ready some are not and it comes as no surprise that quiet roads result in a higher pass rate. People passing in those quiet areas may will be terrified and unprepared for any big city. The examiner doesn’t fail the candidate, the candidate does that bit for them.